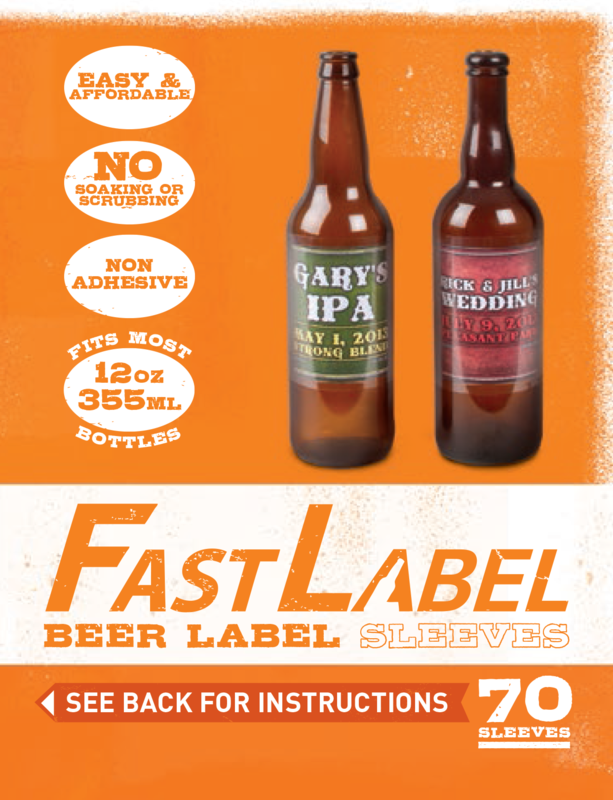 Print and cut out your own label. Place bottle in sleeve and slide beer label or wine label in between sleeve and bottle. Dip in hot water for 0.5 seconds. A blow dryer or steam works too. Trim excess sleeve material.